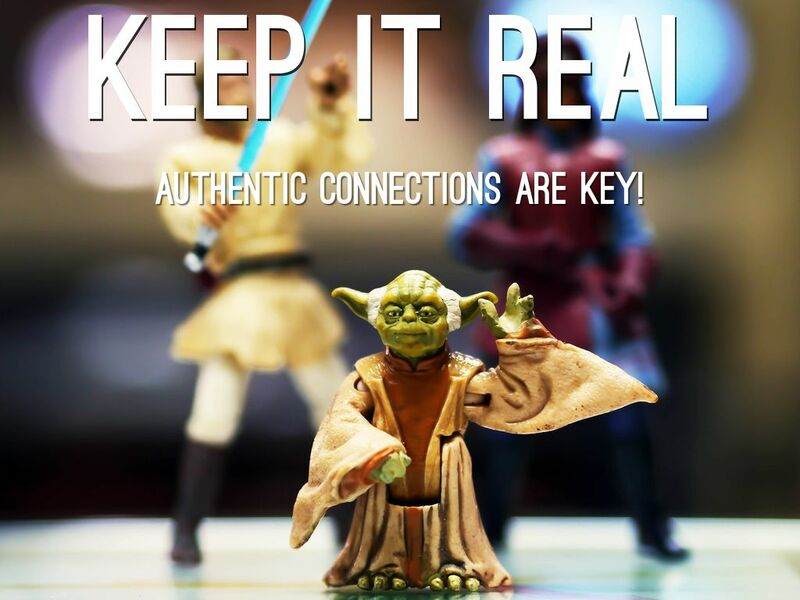 When helping teachers with technology integration, I follow a particular way of thinking. 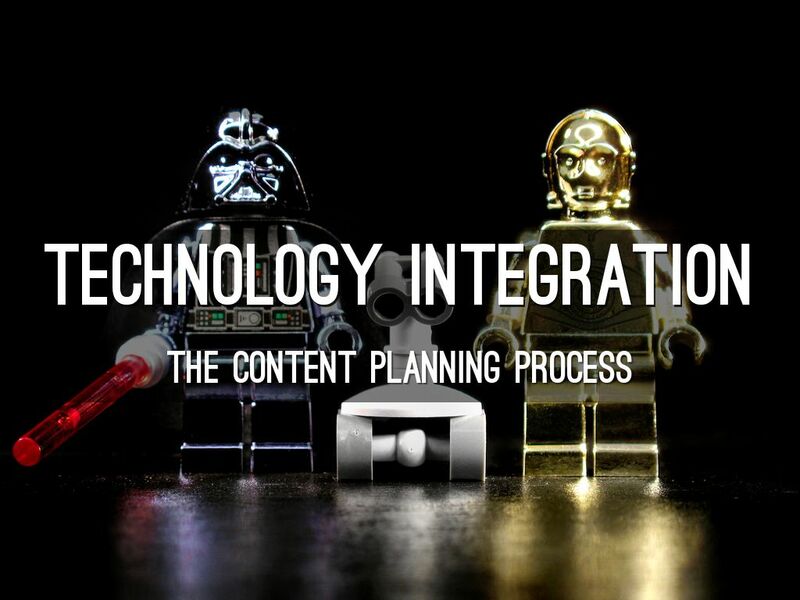 This deck was created as a way to discuss the technology integration process. Typically when teachers call me, they want a list of apps. I push back on this question and instead ask.. It's important to remember that when integrating technology, the focus can't be on the tech itself. 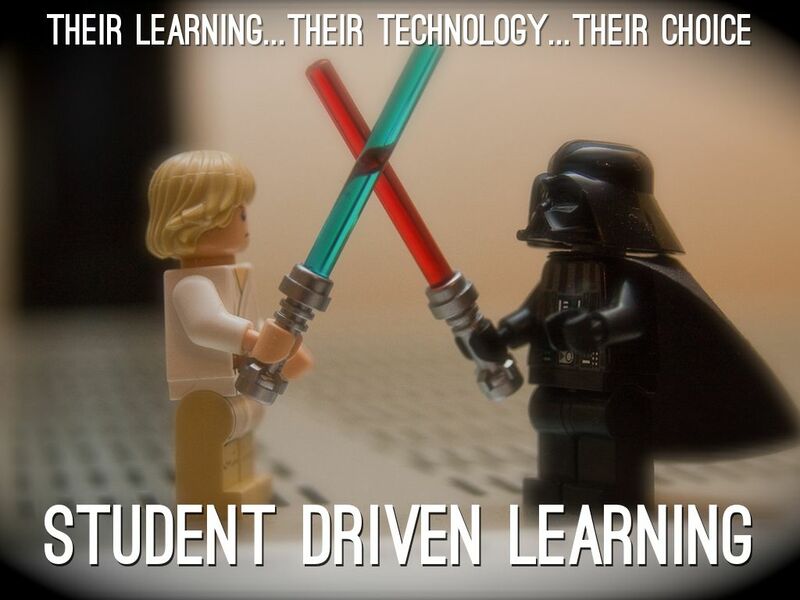 The technology is a tool but what students should learn must be the focus. 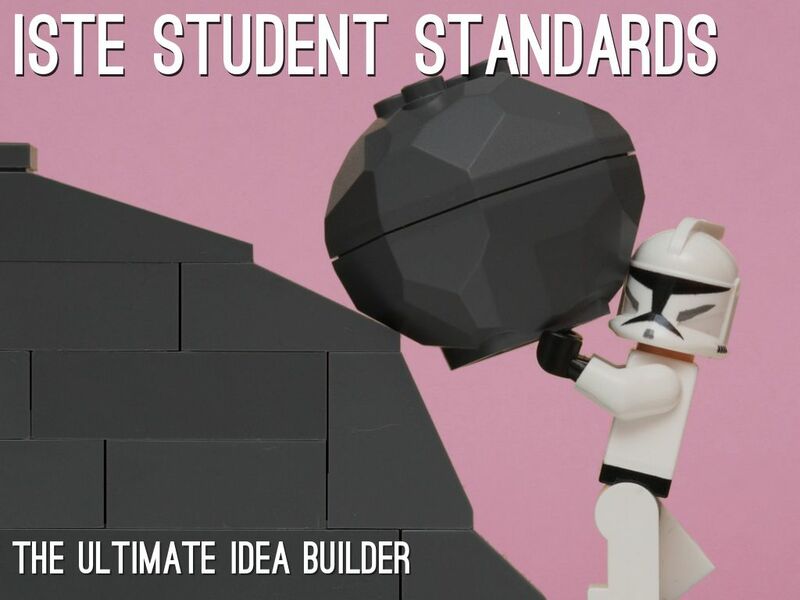 The ISTE student standards serve as a benchmark for how technology can support/enhance learning. The standards are broken into 6 sections. 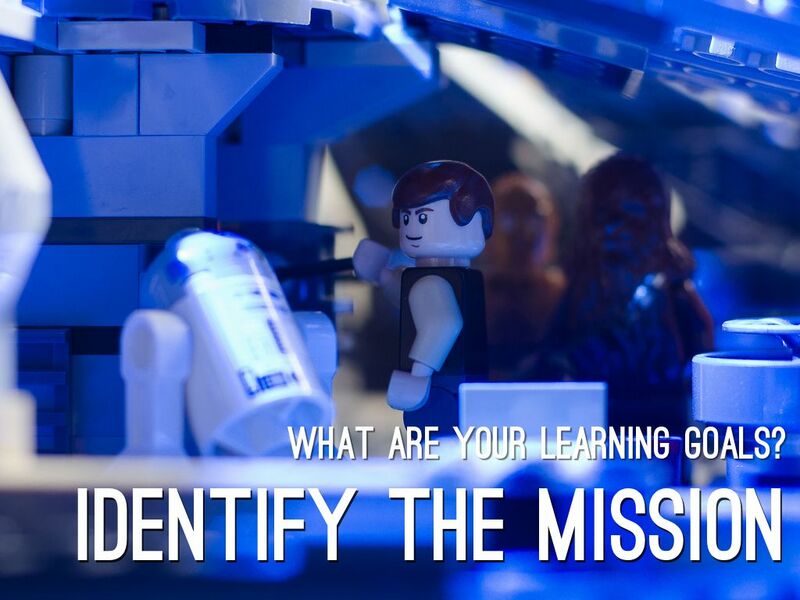 It's important that as you plan, you know about your students and what drives their learning. Use that intentionally. 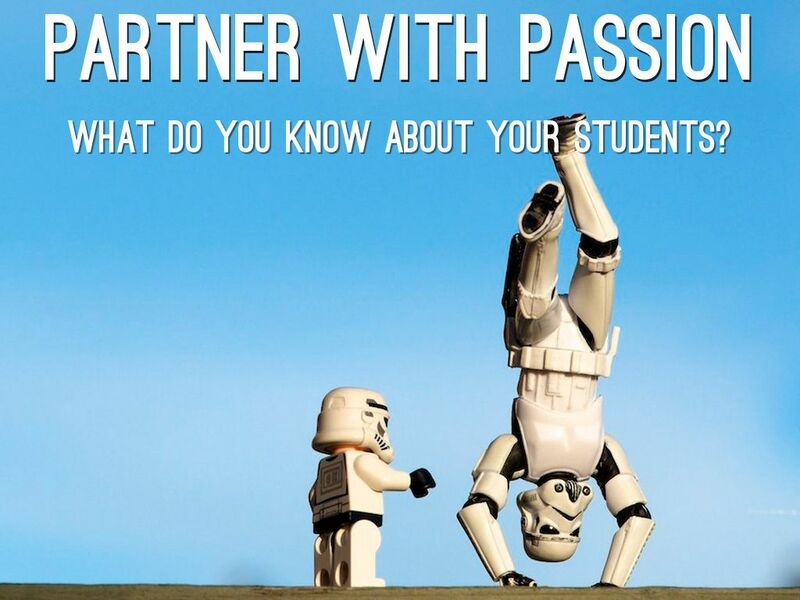 How can you tap into student passions to encourage both personal and academic growth? What about your passions? Remember, if passion isn't driving the car...the car doesn't move. This is especially important when integrating technology. How will information be presented? Will students research & apply? Will there be an interactive lecture? Will learning be flipped? Blended? Do students have access to devices? If so, for how long? What about students with special needs? Can technology be used to satisfy their needs? How? What about student prior knowledge? Does your learning goal match/meet theirs? Your students have a greater chance of buying in to new learning when they can connect to it. 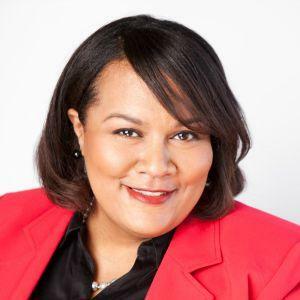 If the experience isn't there, can technology help bridge those gaps? Kids need to relate to REAL experiences. This is a great opportunity to connect students to experts, practitioners and real innovators in their areas of study. It is through these real experiences that innovation and inspiration are born. Creating great questions is an art. 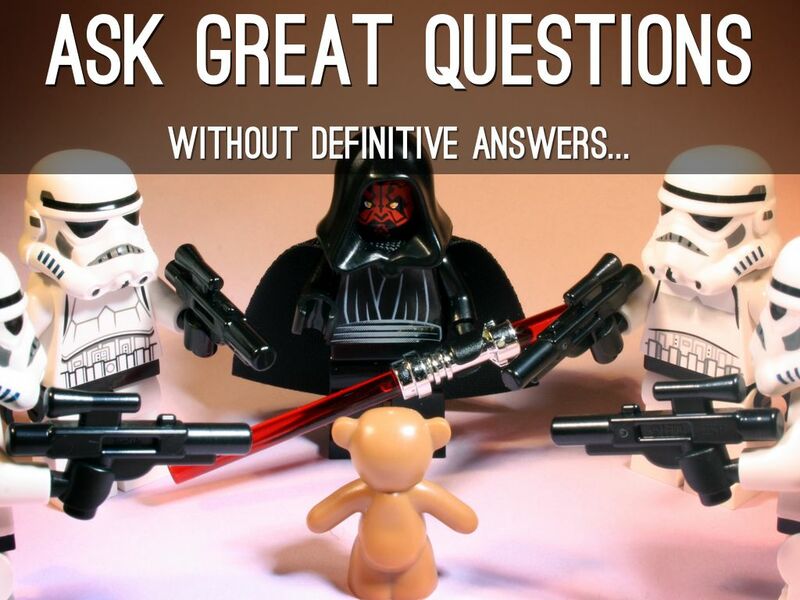 Creating questions without definitive answers is a must. In Algebra 1, don't just ask kids to find the solution to a system of equations. This is a start but not the end. Ask them to explore various types of simultaneous graphs and come up with attributes that must be present for certain solutions to apply. Create an interactive story that incorporates the concept in such a way that sends users on an adventure depending on solutions. Certain technologies are for teachers to use but when thinking about integration, it's about students. Whether students are using cell phones, 1:1 devices, labs...we must think along the line of what students are creating. Instead of sitting students on [insert consumption app/website here]...How can they build this experience with their own knowledge? If student devices are NOT available, how can they create/design without such tools? You will never know what students can do until you empower them to create. Provide guidelines but not limits. It is not important for teachers to know every tool. As a matter of fact, teachers will learn from students when they open themselves to learning from the tools that students use. Again, guidelines are important and critical for kids who lack the experience but we should not set the "Technology" endgame. 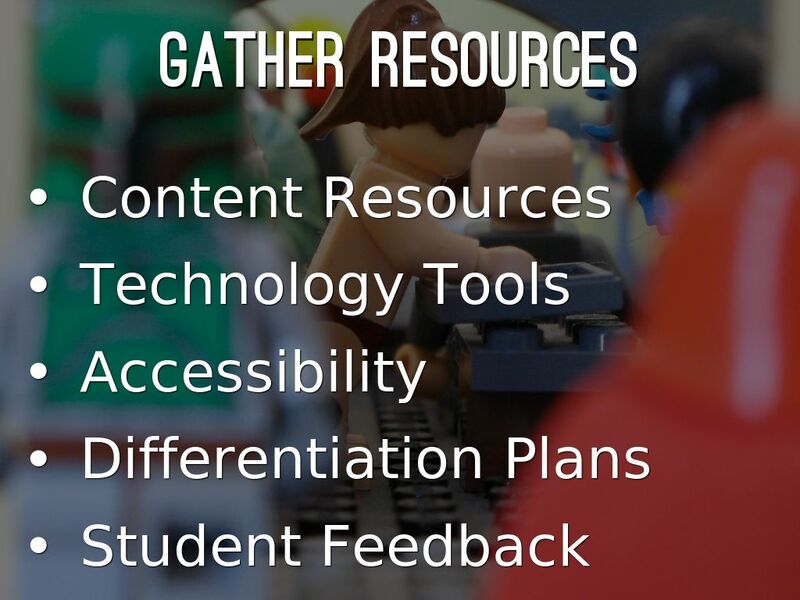 We must also be open to students who choose to create minus digital tools. Choice is key. 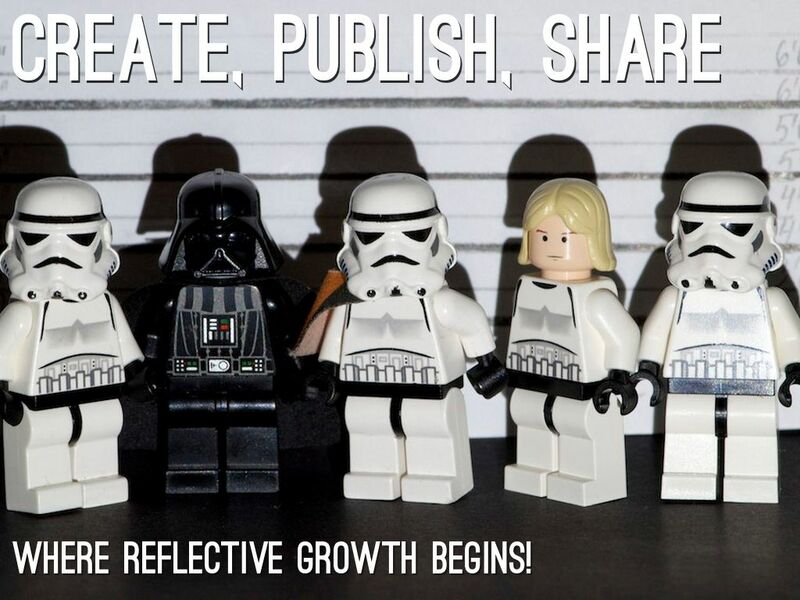 Publishing and sharing with a global audience raises the bar & invites global connections and feedback. Give students feedback along the way as they learn and create. Encourage self-reflection as well as peer feedback. When publishing online, include feedback from their global audience. Provide a summative assessment at the end of the unit. 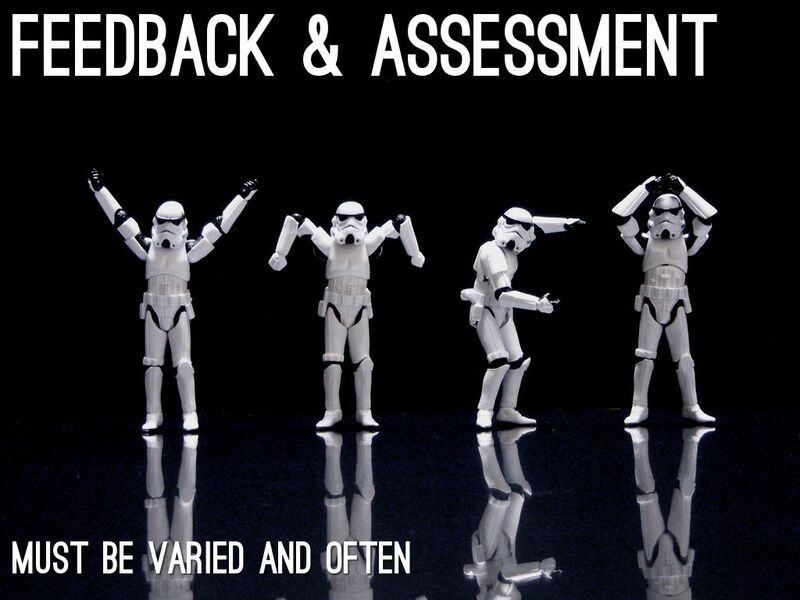 Help students use feedback to inform growth. Reflect throughout, both teachers and students. 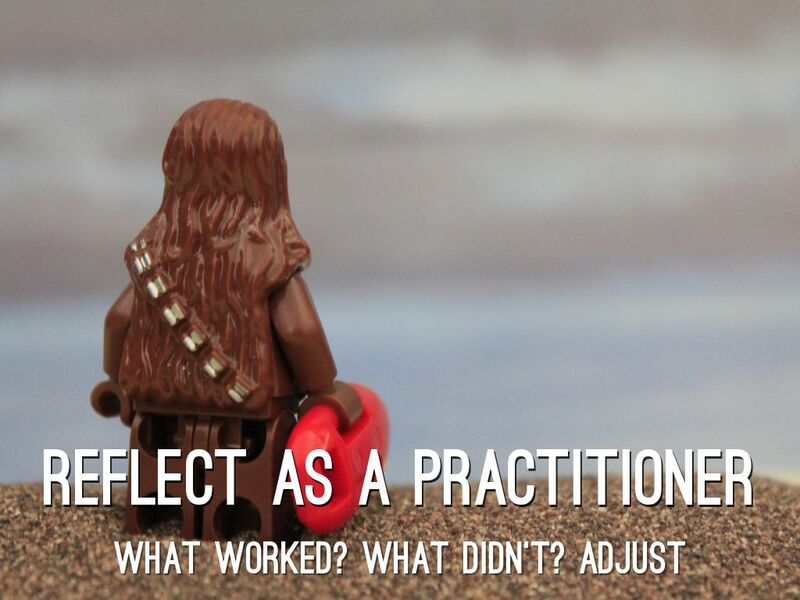 I think that the practitioner reflection is extremely important. Just as students should grow in learning...so should teachers.